In a paradigm shift, Google has rendered non-SSL sites as Not Secure. Every time someone tries to access a non-SSL site from Google Chrome, he or she will be prompted with a message “Not Secure”. In July, 2019 Google made it’s stand on SSL implementation clear and labelled SSL Certificates as compulsory. In lieu of making Internet secure and transactions safer, Google has been pushing webmasters to adopt an encryption system that safeguards the important details while transacting on the Internet. Webmasters and thought leaders have been re-iterating that SSL Certificate is going to impact search engine rankings of a website in near future. If you look intricately, you will discover Google weighsmore than 200 search engine ranking factors before ranking websites and Google has been pressing webmasters to adopt SSL Encryptions, which clearly suggests that implementing SSL Certificate can help you improve your search engine rankings. What an SSL Certificate Actually Is? SSL is the acronym of Secure Socket Layer; which is basically an additional layer of security added to a website. The Secure Socket Layer helps visitors browse and transact on a site without feeling threatened of data loss or privacy breach. SSL creates a safe connection and transfers data in encrypted form, safeguarding it from hackers and unauthorized personnel. Implementation of SSL on websites that receives payment is not merely necessary but a compulsion. What happens when you try to access a site with SSL certificate? Step 2:Your web browser will establish a connection with the server of the https://www.xyzsite.com and will request for identification. Step 3:Your browser scans the SSL Certificate of the https://www.xyzsite.com with all the trusted authorities that issues SSL Certificates. Step 4: On verification both, your browser and the website’s server, translates the data into encrypted form before sharing with each other. What is the role of SSL Certificate in Improving Your Search Engine Ranking? Google has been pushing webmasters to adopt SSL Certificate since 2012 and it has now made SSL Certificates a compulsion but is it bound to affect the search engine rankings of your website? Will there be any improvement in ranking if you adopt the SSL Encryption or will there be any negative if you ignore it? A Site with SSL Certificate wins over a site with no SSL Certificate: Consider this, an e-commerce website that is competing with another e-commerce website on all parameters can easily beat the competition with an SSL Certificate. Yes! SSL Certificate can work as a tie breaker and help you claim number one on the search engine rankings if your competitors are not using it. Improved Domain Authority=Improved Search Engine Ranking: Domain Author aka DA is an important parameter that decides that ranking of a website in search results. A site with higher DA is bound to rank higher in search engines. DA is a rank between 0-100 with 100 being the best and 0 being the least. A site that has a DA closer to 100 has a better chance of ranking in search results. Implementing SSL Certificate can tweak Domain Authority by a few points because Domain Authority is all about the authority your domain commands hence going httpsfrom http will definitely work in your favour. Improved User Experience:By incessantly changing its algorithm,Google has coaxed webmasters to create websites that leverages great user experience. Google’s algorithm is known to rank sites with better User Experience above all the other sites. Google measures the user experience of a site by varied methods which includes bounce rate, exit rate and visitor’s loyalty; a site that provides safer transfer of data and promises security against data theft and privacy breach will definitely rank higher on the charts of user experience. 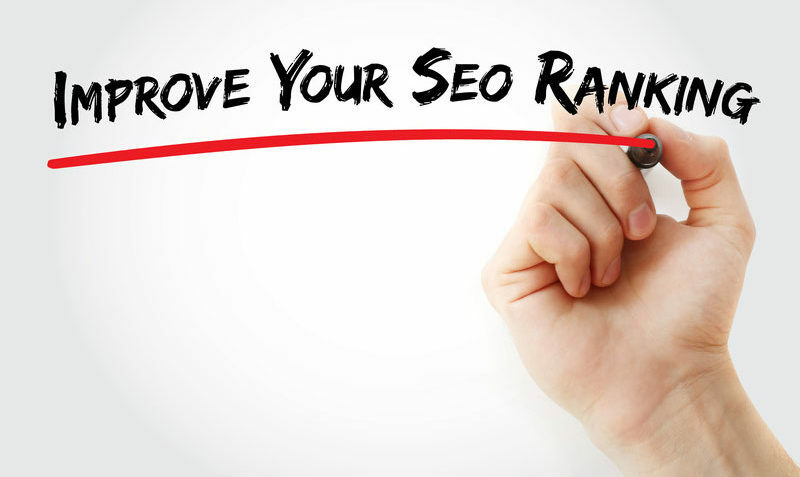 With the improving user experience the search engine ranking of your site will also increase. These changes occur slowly and gradually and not overnight; your site will not start ranking on first page as soon as you implement SSL Certificate but it will grow and it will get there. Improved brand perceptionis just another paradigm that will help you score over your competitors. A user will always prefer a website that shows “Padlock” signalling safety over a website that is non-secure. For a lot of webmasters, bloggers and entrepreneurs, SSL Certificate is no less than an opportunity to grab and beat your competitor. Keep up with all your social media activity, on site improvements and get an SSL Certificate to become indispensable.